Previously, video editing and video making could only be done on a computer, the steps are very cumbersome. Unless you are a professional, it is difficult to master the technical know-how and create cool videos. However, with the change of the times and the development of technology, developers have developed many great video editing applications, enabling users to edit and produce videos directly on mobile phones, eliminating those tedious steps, and achieving amazing results with only a few clicks. Now there are more and more video editing tools on the market, and each has its own characteristics. To choose a powerful, easy-to-use, and ad-free video editor is not easy. If you are confused about which video editing application is better. Check out this article. Here are 12 of the most popular and highly acclaimed apps. There is always one for you. With the help of this free video editing app, you can work with images and videos and create video montage on your Android mobile phone directly. 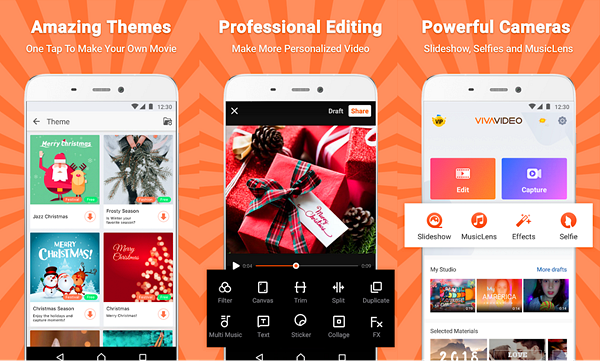 The main menu of VivaVideo consists of free video editor using which you can select whichever video you want to pick or record directly from the app. You can as well directly go to the montage phase with the help of videos and photos. If you want to do video editing then the montage will open up options for you to select the images and video you would like to add to your new video. You can start using the tools available on the video maker app after finalizing the multimedia material you want to use for making a video. VivaVideo gives you the options to cut and paste the videos or adds various types of cuts, fades and similar other transitions, apply filters and more. This video editing tool is quite comprehensive and helps you to achieve some very surprising results. It is also possible to automatically share this video directly on the YouTube. An Android video editor that assists in creating fun movies with the help of videos that you have already shot and stores on your mobile phone. With the help of this app, you can apply various filters such as style color profiles similar to Instagram and give the videos a cooler or warmer effect with the black, white, or sepia tones. You can use this movie maker app to make subtle changes such as adding subtitles to the video or for making changes in the audio. In addition, it allows you to choose appropriate options present within the editor and make the necessary changes. It is a photo and video editing app that helps you to improve the final result for any video, making it just perfect for uploading on Instagram. You can improve pictures and save the edited videos in Android device’s memory using InShot. The video editing section of this app comprises of innumerable interesting tools. It is possible to center and enlarge an image that has been recorded in a vertical format. Other options include applying filters, adding music, inserting text, and even adding emojis. After you have completed editing, it is time to choose the quality that you would like to save for the video. If you’re looking for the best video editor for your Android phone, KineMaster will be your choice. This app offers some wonderful features, including precision editing, instant preview, multi-track audio, multiple layers, color adjustment, speed control, chroma key, pro audio features, voice recording and many more. With its precision editing, you can trip the video clips and layers precisely with frame-by-frame granularity. You can adjust the sub-frame accuracy with the audio clip timing. It is the best free video editing app that offers professional-level video editing tools and production options for the creators of all the levels. Irrespective of whether you are editing in Ultra HD 4K or 360 Degree or even using the latest format in the media, PowerDirector works as the definitive solution for Windows video editing for both professionals and beginners. It is one of the most used mobile apps for bridging the gap between the consumer looking for ease-of-use while editing a video as well as a professional. PowerDirector is loaded with multiple tools that assist you in creating a highly compelling digital flick with effects, titles, and transitions. Quick is the best free video editing app works equally well for both Android and iOS users. 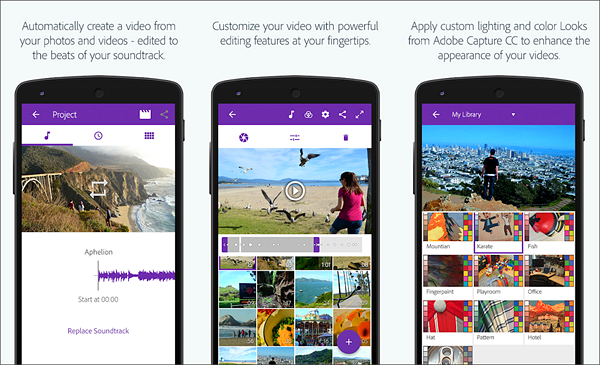 The app helps you create some fabulous videos with just a few taps. 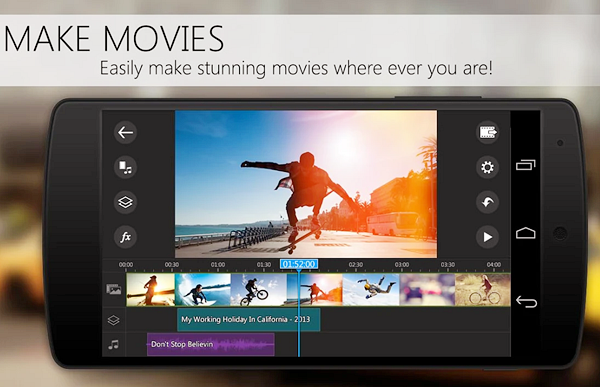 Quik works like magic when you want to edit or trim your favorite video clips or photographs. 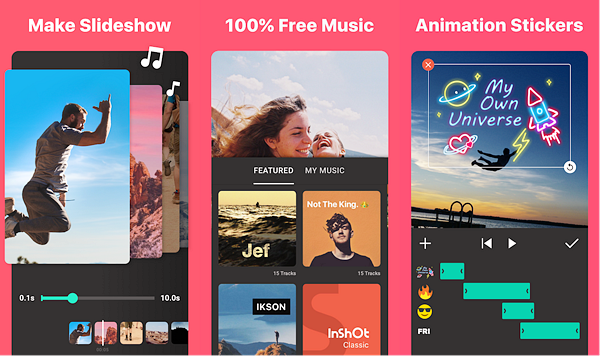 From adding wonderful effects to making beautiful transitions and synching the video to the beat of the music, Quik just adds more magic to your great moments. Quik makes editing a very sleek, faster and easy job. 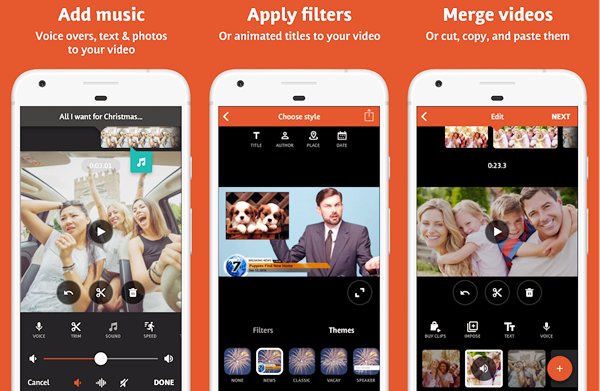 You can customize your music, story or text using the best free video editor and share it in your group of friends. The app allows you to add around 200 video clips and photos from your GoPro Plus or Photo Library. It analyzes your photographs and videos and helps you select some great moments. The app makes the choices by detecting colors and faces to frame each and every photo perfectly. Just adjust the interesting point or layout manually and you have the perfect customized landscape. With the help of Magisto, you can create outstanding videos in a short time. This video editor and maker app create videos that are just perfect for sharing on your social media accounts. You can attract lots of attention simply by editing and making your photos and video clips eye-catching using the powerful filmmaker that this app offers. Many people believe that it is one of the most amazing formal video editing apps that help you to create a video collage or even a slideshow on the move. With more than 90 million users, Magisto certainly is one of the most loved and popular Android video editors used for creating a mini-movie within a few minutes. This app is backed by the power of Artificial Intelligence (AI) due to which the entire video editing process is almost semi-automatic. 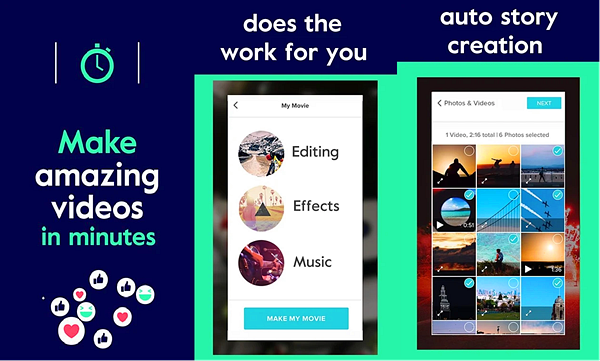 The app brings together text, music, photographs, video clips, video filters, and video effects to help you come up with a video story of your own. Who does not love to share personalized photos and videos, get tons of likes and become a hit on social media? 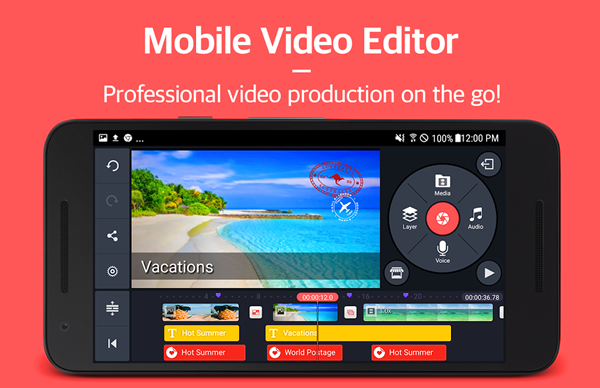 It is exactly what Videoshop, the best video editing software for Android does for you. This easy and fast Android app personalizes your video clips so that you can proudly share them with your friends. Some of the things that you can do with this app are music editing, trimming, adding sound effects and subtitles, merging and sharing. You can add your favorite songs to your videos, cut some unwanted moments from the clip, and even add sound effects such as farts, applause, explosions and animal noises. 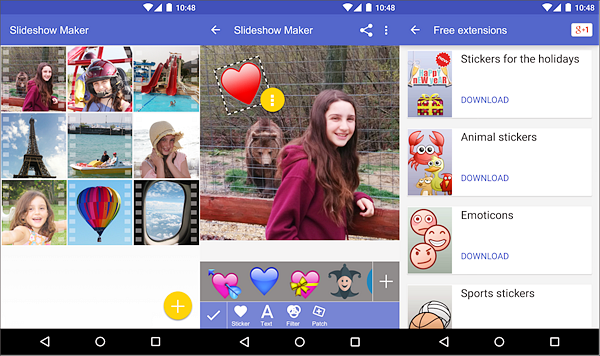 This Android video editor also allows you to add subtitles and your messages on the videos, and merge multiple clips to form a single video. Sharing is quite easy as you create a personalized video and can instantly share it on Snapchat, Instagram, email, YouTube, and Facebook. 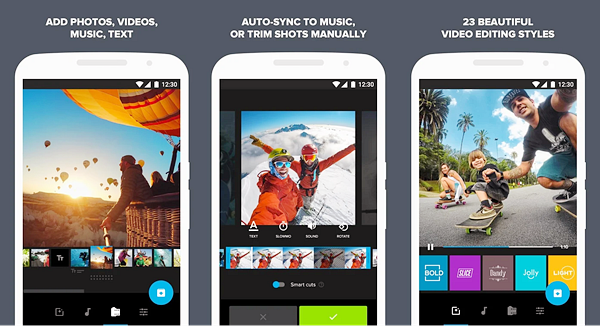 This video editing app transforms any video clip on your Android phone into a real flick. One of the most important advantages of using this movie maker app is that it is simple, quick and highly intuitive. For using YouCut simply choose the video you need to edit and apply various tools to complete it as per your vision. From applying filters, inserting texts to changing the speed and adding music and emoji, there are so many things that you can do with the help of this app in just a few seconds. 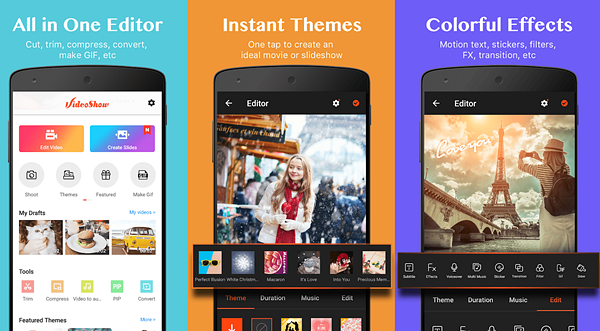 It is an official video editing app from Adobe for Android devices. It is similar to the Adobe Premiere version used for desktop. This application allows you to edit video clips directly on your mobile. You can also edit the videos automatically by creating the videos using photos and clips just by pushing a button. From the soundtrack, transitions to editing and subtitling, the Adobe Premiere Clip just helps you create all the right changes including correcting the colors and adding songs to the videos to make it look good. One of the best video maker apps that creates breathtaking movies directly on your Android device. You can merge the images and video clips on your device to create a spectacular movie. The Main Menu of the app offers various features including trim to cut short the video and combine to merge video clips and more. Adding music, rotating images, adding flip or some spectacular effects that can transform the entire look of your video are just a few things that you can do with this app. 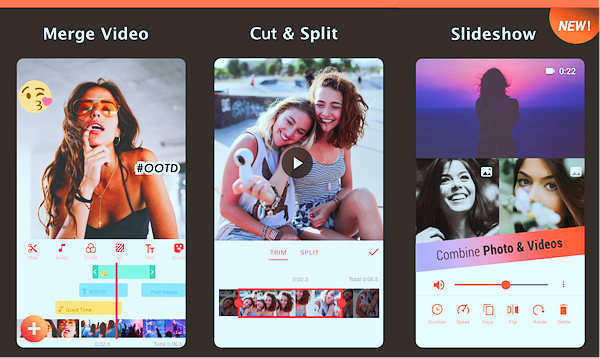 If you are looking for a video editing app that can help you create and edit both videos and slideshows then your first choice should be Scoompa Video. 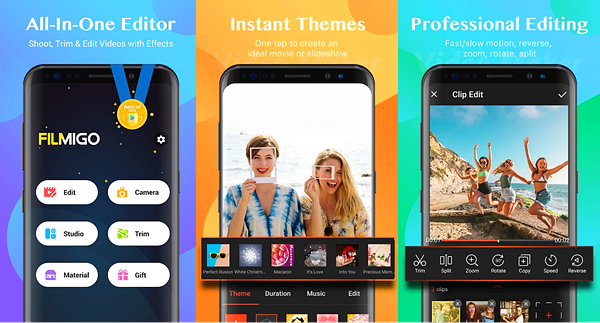 It is one of the coolest video editing apps for Android that allows you to create some stunning slideshows on your mobile using your selfies and photos. The user-friendly interface of this app is supported by an intuitive layout and design and is simply great at creating visually alluring slideshows from chosen photos on your mobile. The app places all the photos intuitively making it easier even for a novice to use it. The app works best for both professionals and for general people. The above mentioned are the 12 most popular video editing apps in 2019. Which one do you like the most? Go to the Google Store and download it now! By the way (in case you need), if you accidentally delete carefully made videos, don’t panic. 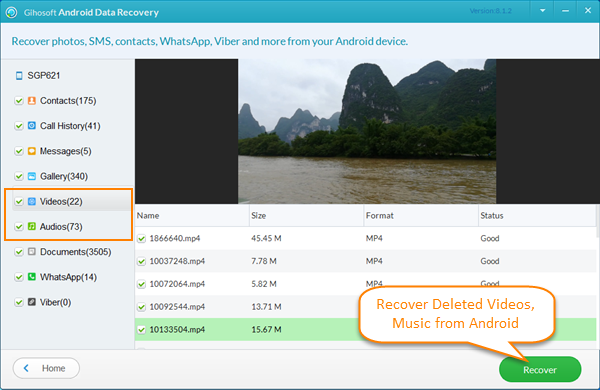 Here’s an Android data recovery tool to help you retrieve videos.